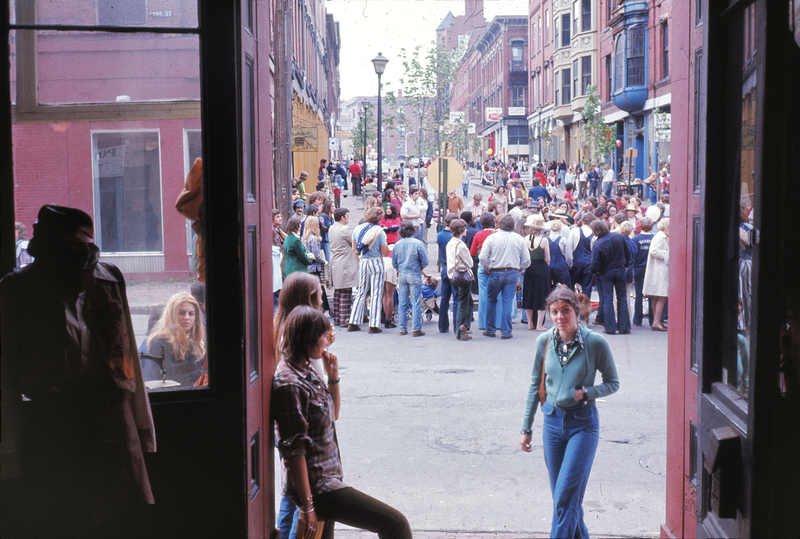 Looking out on Portland’s Exchange Street in the 1970s, during the early years of the Old Port Festival. Photograph by Maury Colton. 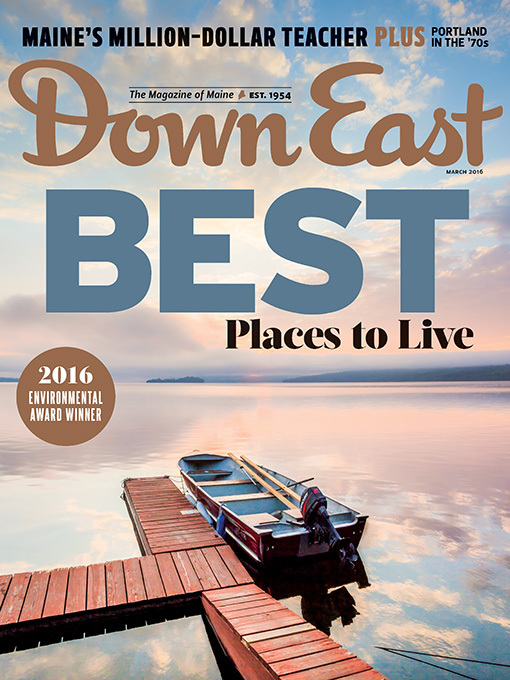 This piece originally appeared in the March 2016 edition of Down East. “Watch it!” my mother shouted, her neck craning out the window of our idling, avocado-colored Plymouth Fury. She hadn’t needed to yell. I’d noticed that the walkway in front of me was laminated with glare ice, and I knew I was navigating it in dress boots, suitable for that morning’s special occasion: my college interview. I was already on guard, narrow-eyed and alert, because I was in a city — a real city. And a real city, I’d been reminded whenever I’d gotten near one, is a place where anything can happen. I wasn’t from a city. I was from a village of 1,500 in western Massachusetts, where my backyard had a garden, a dozen apple trees, and a chicken coop. On trips to our nearest metro, Springfield — population 174,000 at the time — I’d dented my parents’ hands with panicky grasps. The high-rises made my head spin. People were everywhere. My sister and I were reminded not to wander: this was a city, where anything could happen. It all just made me want to go home. Fast. I had that feeling again in March 1976, tottering on an icy brick sidewalk among the three buildings that made up what was then called the Portland School of Art. Buses belched nearby, brick apartment buildings crowded one another, and a trio of weathered men swigged from a tall bottle in a sunlit alley out back. My tour group surveyed a row of shuttered buildings, spotted rats racing down the street. Portland had actual rats. “It’s kind of a dump, but you get used to it,” advised a student walking by. Lunch was at the Hungry Hunza, a vegetarian eatery filled with pale artists picking at bean sprouts. Afterwards, I stepped outside to stare at a dizzyingly tall building with a rooftop clock. Time was passing, and I had a decision to make. This place wanted me. Did I want it? Forty years later, I think back fondly on a choice that gave me a fine education and introduced me to a cherished circle of writers and artists. It also awarded me bragging rights — of knowing Portland before it was anything close to hip, before glossy magazines were christening it one of the “Coolest Small Cities in America” (GQ) or the “Foodiest Small Town in America” (Bon Appétit) or among “America’s Best Cities for Hipsters” (Travel+Leisure). I could go on, but instead I will just smirk knowingly. “That’s where I went to school,” I say, whenever I hear praise for the Forest City. 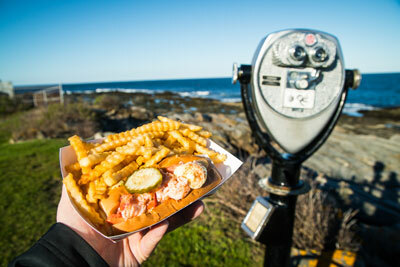 “How lucky!” comes the response — as if Duckfat’s fries have always beckoned, as if Bruce Springsteen has always loitered at the Portland Harbor Hotel, as if those egg tempera murals of bombed-out Syrian cities have hung at SPACE Gallery since the days of the colonists. Today, it can be hard to relate to the city on which I first trained the lens of my 35mm Canon all those years ago.  Portland in the 1970s was centered around a downtown that was struggling, hit hard by the creation of the Maine Mall five years earlier. My classmates and I window-shopped at Porteous, Mitchell & Braun, an old-style department store still eking out an existence on Congress Street. Across the street was a record store where we flipped through LPs and learned when Bob Dylan, Jackson Browne, or Harry Chapin were playing the Cumberland County Civic Center. Down on Monument Square stood Loring, Short & Harmon Stationers, an officeware and art supply shop with an inventory that would have put Staples to shame. My first place of my own was an $88-a-month room at the Spring Street YWCA. The view was of Spring Street and the harbor with a Holiday Inn wedged in between. I made friends loaning out my telephoto lens so my fellow Y-dwellers could scope the businessmen at the hotel, writing their room numbers in shaving cream on their windows. Men weren’t allowed on our residence floors except to assist with a move — gentlemen callers were entertained in the first-floor “beau parlor,” a dreary alcove with a stiff couch and no door to close behind you. At first, my world consisted of just a few blocks. For groceries, I went to Gil’s Handy Store, a wee rectangle of a shop at the corner of Park and Spring (food theft was a problem in the Y’s communal fridge, so, like many of the girls, I placed my perishables in a plastic bag and hung it out the window for refrigeration). I churched at St. Dominic’s, where we celebrated winter masses in the basement to save on heating, pews shivering anyhow in the pews. I sporadically patronized the movie theater on Park Street, which played only Kramer vs. Kramer for nine straight months. I moved out of the Y and my world expanded. My friends and I navigated the Old Port’s cobblestone streets in our disco-era platform shoes. At the Paper Patch, we browsed greeting cards with scenes of skyline and sea. We sipped cocktails at the Old Port Tavern and took to the dance floor at The Loft, a (curiously, street-level) former warehouse that retained its industrial edge. And we made late-night runs to Amato’s on India Street for Italians. Portland never came to feel less gritty or strange to me, but the first time the Amato’s clerk knew my order without my asking, I felt like I’d been handed the key to the city. I graduated in May of 1980, on the same day Mount St. Helens erupted, both of us blasting into the world. I’ve since traveled back to Portland to see friends and to teach. With each approach on 295 and each essential Italian run out to India Street, I’ve watched the slow, inevitable process of my city becoming someone else’s. I know I’m not the first to feel this way, and I know the phenomenon isn’t unique to cities, though the pace of change seems accelerated there. Think of a place you once knew. Now think of what’s missing there, or what’s sprung up, or what’s morphed over time into something you hardly recognize. Who were you then, when you first knew that place? Who are you now, witnessing its new incarnation, whether your view is of rubble or renewal? I know too that the real world isn’t static, and that the object of one person’s nostalgia is another’s mundane memory. Maybe the Dogman himself roamed turn-of-the-’80s Portland longing for the Congress Street of an earlier era. Still, it is jarring — and a certain kind of melancholy — to find a soulless convention center rising up where your trusty convenience store once stood. And it can stick in your craw. Portland School of Art became a mecca called MECA, the Maine College of Art. It exists today in a single building, one where I once window-shopped for bell bottoms. No plastic bags hang from the windows of the YWCA because there is no more YWCA. The building was sold to the Portland Museum of Art in 2007; for now, it is a parking lot edged with trees. There is no Hunza, hungry or otherwise. If I went looking for that Laundromat stripper, I’d end up peering in the windows of a trendy bar with bookshelves and manual typewriters, where a pint of beer costs $7. The city convicted the Dogman for flouting leash laws and took his dogs away. A Whole Foods stands where I once shimmied at The Loft, and after 71 years as a neighborhood anchor, Joe’s Smoke Shop was knocked down this winter to make room for an apartment complex. I’ve just joined a Facebook group called “Portland Maine Encyclopedia of the 1960s, 70s & 80s” — because this is how we indulge nostalgia in 2016. Its 8,882 members stroll on cyber lanes past shabby apartments they once rented for $75 a month. They still wear denim they bought from Levinsky’s Clothing Store, now closed a dozen years. They reminisce about a DiMillo’s restaurant that didn’t float. They want what we all want, wherever we come from: our good, remembered yesterdays. We can pray for their return (but not at St. Dominic’s, which has become the Maine Irish Heritage Center). Or we can thank our lucky stars that we knew our places way back when. The rooftop clock still clicks. The Paper Patch still sells postcards with images of blue water and sky. Buy one and send it to yourself, with thanks for the time you once spent in a city, a place where anything can happen. Including, for a time, the city becoming yours. Suzanne Strempek Shea’s 11 books include This Is Paradise. 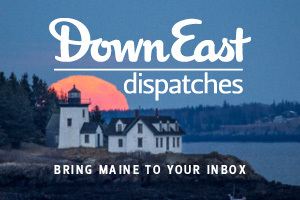 She teaches at the University of Southern Maine’s Stonecoast MFA program and directs the creative writing program at Bay Path University in Massachusetts.